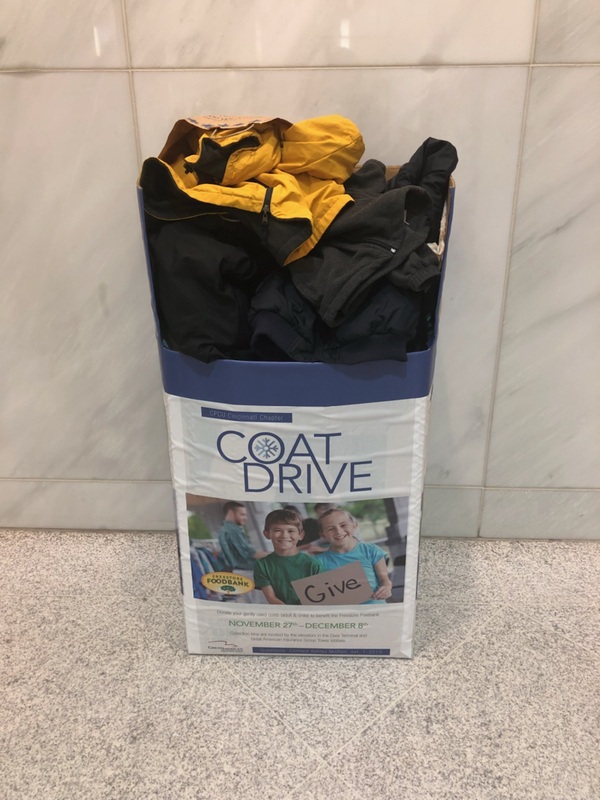 The Cincinnati Chapter’s Good Works Committee recently completed our annual winter coat drive, which ran during the last week of November and first week of December. The 2017 Committee Chair, Ashley Moffatt, is pleased to report that a total of 729 jackets and coats were collected as part of this effort. Our chapter once again partnered with the Freestore Foodbank to get these donations into the arms of local adults and children just in time for the holiday season. We would like to thank all donors and partners who helped make this event a great success. Also, a special thank you to Kristy Guckenberger (American Modern Insurance), Keith Tenoever (Cincinnati Insurance Company), Ashley Moffatt (Great American Insurance Company) and Laura Risher (Safeco Insurance) for leading the drive at their offices.